Language Contact in the Place-Names of Britain and Ireland. Edited by Paul Cavill and George Broderick. 247mm. Pp ix + 183, ills. 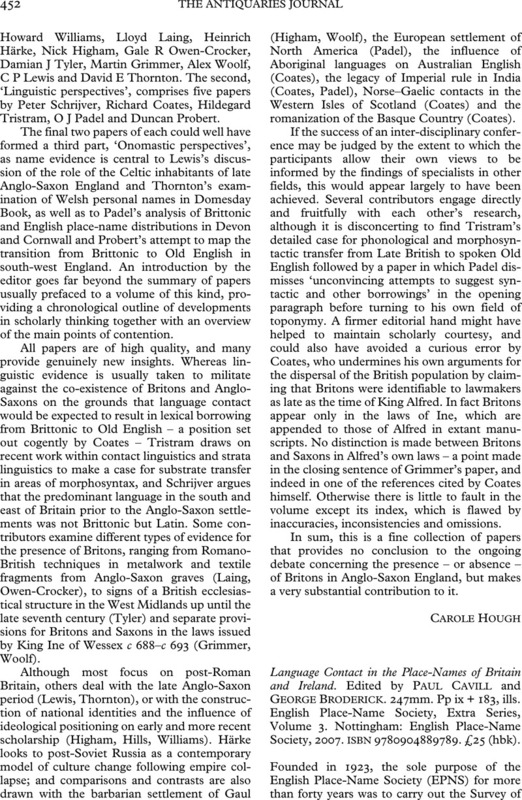 English Place-Name Society, Extra Series, Volume 3. Nottingham: English Place-Name Society, 2007. ISBN 9780904889789. £25 (hbk).